Excellent trainer and material. 2 days of training were very productive and it helped me with the grasping the concepts and certification. Darmstadt is a city in the state of Hesse in Germany. It also officially holds the title of the "City of Science" as it is a major centre for scientific institutions and high-tech companies. 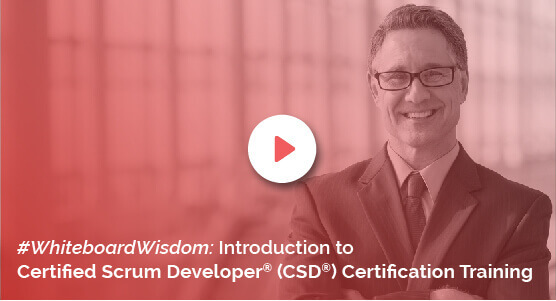 It is very important for the youth to take up technically challenging courses like the Certified Scrum Developer certification in Darmstadt, to develop equivalent skills required in the fast-paced economy driven by technology. The CSD course in Darmstadt is an intensive and specially-designed course offered by KnowledgeHut. The academy offers exclusive training on Scrum framework and principles by expert tutors. The Scrum development is an Agile framework for completing innovative projects. The Certified Scrum Developer course in Darmstadt helps you earn a Certified Scrum Developer credential that reflects that you have an understanding of Scrum principles and Agile engineering skills. The CSD training in Darmstadt proves your specialized technical knowledge and commitment to continuous improvement. The certification is also a brilliant way to market yourself to employers. The one who gets enrolled receives all the necessary practice sessions and live demos required to grasp Scrum principles thoroughly. Scrum methodology of development supports collaboration, pair programming and cross-functional teams. This is what’s needed when a corporate team works in cohesion; bringing good to not only individuals but optimizing the efficiency of the organization as a whole. KnowledgeHut offers the best in industry trainers and study materials which is why it has been internationally accreditated by some highly-reputed institutions. The workshop setup for Certified Scrum Developer certification in Darmstadt is career-focused and comes with a highly-proven training methodology. Register online for CSD certification and give your career the boost it needs.